Find a comfortable spot to read Little Football with the child. Be sure to use an expressive tone of voice while reading. Show the child how to turn the pages back a forth. 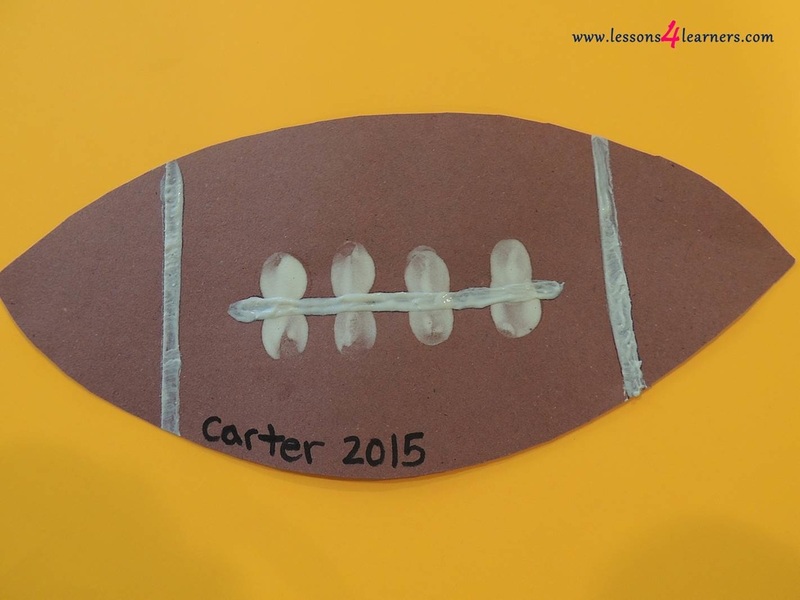 When finished, create your football memory craft by dipping their finger in the white paint and stamping it onto the brown paper. Their fingerprints will act as the laces on the football. Wash hands with the child, narrating as you go. Allow to dry and cut out the paper into the shape of a football. Encourage the child to revisit the book throughout the week. Observe and record the child’s pre-literacy skills. Did they attempt to turn the pages on their own? Place these anecdotal notes in the child’s portfolio to document change over time. For some reason they are attracted to puppies, kittens, chicks, and other small children. While they haven’t learned how to join together in play until the age of two or three year; they do have a fascination with the young. Surprisingly while they won’t play with one another they do find what the other child is doing to be desirable. In fact, if Dillan has a ball and is playing with it, often another toddler will go and take it; leaving Dillan crying in protest. Social graces must begin to be a part of life. Yet in our society we have become so ‘techy’, that our social skills have diminished a bit. Imagine you have a child and as your day begins you are busy about getting up, taking a shower, readying your child and taking off to work. Perhaps you have a baby sitter or nanny, or you take your child to day care. You hurry along to drop your child off at the daycare, then to work. You become engrossed in the day’s duties – taking care of your job’s responsibilities, socializing with co-workers on the job or in the lunch room, then grocery shopping on the way to pick up your child. By the time you and your family are home for the evening you are exhausted; yet, you still have dinner to make, eat, and a child or children to prepare for bed. So while you are busy with dinner, David watches TV or plays a video game so he will stay out from under foot. Then since you are tired you decide that dinner in front of the TV sounds nice. And again while cleaning up the dishes you allow David to play video games so you can finish faster. Later in the evening you get to relax and since your child is content with his video game you decide to let him continue. Next thing you know it is bed time. While you may be have gotten a variety of social interactions, it is very important to be providing that for David. Teaching him manners and trying to help him understand how to visit and care about another’s feelings will never be experienced from a video game. 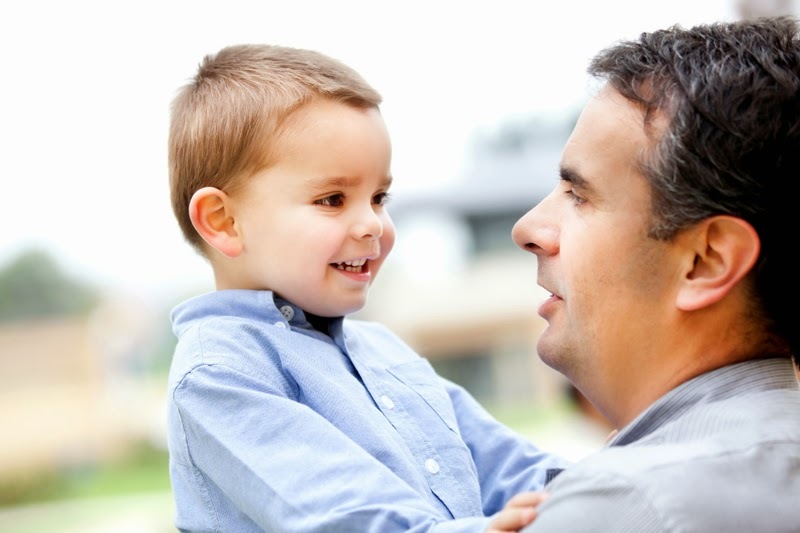 Only by true interaction will a child learn to provide appropriate responses; because an appropriate response must be a choice, even when you don’t feel like choosing that appropriate response or choice. And not only do you want to instill the desire for an appropriate response; but, the emotion of empathy to accompany it. Every day, even when busy, you can be teaching your child. Instead of chatting on your cell phone (via speaker), on your way to work; visit with David about many things. Even discussing some decisions that you are having difficulties making, and why you are making a certain choice is important for him to hear. Not only do children have daily challenges but parents do as well and who better to learn from than you. "The best way to teach a child restraint and generosity is to be a model of those qualities yourself."